We provide custom-made solutions for the connoisseur in you. For 25 years, Hot Rod Scott’s has been committed to delivering that promise on every job. Scott’s is your number one source when it comes to exhaust systems, we pride ourselves on performing quality work. 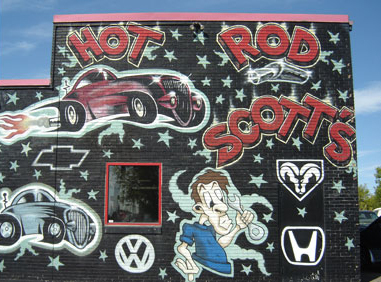 See Hot Rod Scott’s for dual exhausts, tailpipe tips and all kinds of creative work you can imagine. We are the only shop in the Greater Toronto Area that will service any brand of catalytic converter available. Ferrari, Porsche, Hummer, we do it all! Our state of the art facility is fully equipped to handle any exhaust job you can think of. Decades of collective experience provide Scott’s team with the edge to stay on top of the performance and custom muffler industry. With that kind of skill and dedication, you know your car is in good hands.